Cloud technology is rapidly becoming the fundamental building block for a seamless customer experience. But the cloud isn’t just a single concept, it’s a variety of different individual elements from Sofware as a Service (SaaS) to Platform as a Service ( PaaS), from public to private. They are as distinct and different from one another as the opportunities for companies to use them. It is from this concept that 8x8 ContactNow’s ethos was derived and since then evolved from there. At first our cloud contact centre software; ContactNow was introduced to third party vendors for its dialling capabilities. Since then there has been no looking back. 8x8 ContactNow has been developed with the mindset that we want to give customers not only flexible capabilities and functionality but also the power to make instant changes at their fingertips in real time. 8x8 ContactNow was developed in the UK with a vision to provide businesses of all sizes access to enterprise grade contact centre technology without the associated lead times and price tag. The emphasis was on simplicity and the ability to self-serve, removing dependency on IT Managers and Support Teams. In any business the main focus is to continue to boost productivity; and ultimately there is no progression without productivity. No matter your place in the work hierarchy everyone has goals and tasks they need to achieve. With that in mind ContactNow derives from the fact that we wanted to create, produce and execute a product that allows everyone from agents to managers the opportunity to achieve their goals and tasks. ContactNow is a seamlessly flexible cloud contact centre solution that allows all to achieve productivity, offering the ability to spot trends, react quickly and make changes - and all this can be done instantly in real time. On top of ContactNow being flexible and having endless functionalities that enable users to take back control, it’s cost effective. We are proud to deliver a pay as you go system that is completely flexible so it suits every budget and every business’ needs from startups to international corporations. We value our customers and we believe that no matter the size of the business or the budget; customers deserve to have achievements and be able to see the results with the use of our product. We’ve built ContactNow so customers can grow their contact centres at the same rate as their business, with pricing that they are comfortable with. ContactNow puts the power in the hands of our customers. The core technology for ContactNow came from 8x8’s acquisition of DXI in 2015 and has given us the ability to develop ContactNow further. We shared a clear vision and saw a gap in the market to provide a communication tool that caters to the needs of informal contact centres and gives them the chance to develop their business without any long term risks or high costs. 8x8 ContactNow is a feature-rich, self service contact centre that guides each user to spot trends and react instantly to them anytime, anywhere. I am proud to share that 8x8 is bringing the innovative capabilities of ContactNow to the U.S. market with availability in April 2017. To learn more about the benefits of 8x8 ContactNow as well as the 8x8 Communications Cloud, visit the 8x8 Booth #1819 at Enterprise Connect in Orlando, Florida, at the Gaylord Palms Resort & Conference Center, March 27-30, 2017. How Well Do You Know Your Customers—Really? Most companies touch customers at multiple points along their journeys—starting with marketing and sales, moving through customer service and support, and on to retention and renewals. All these touch points engage customers—but are they providing a great, seamless, always-on experience? 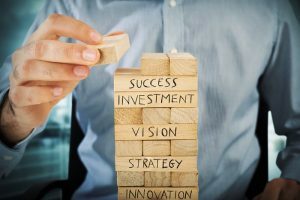 If not, customer loyalty and long-term revenues will be impacted—and it will be increasingly difficult for your business to keep up with, let alone beat, the competition. A modern contact center should engage customers via their channel of choice; leverage all employees, not just agents, to deliver customized engagements; optimize experiences to increase loyalty, sales and revenues; and make the customer journey priority number-one for all employees. This involves not just new technology, but also a new approach: one that is clear, agile and authentic, so that you can respond to your customers where they live—online, on mobile devices, via voice or right in front of you. Smart companies are also involving back-office employees in the customer interaction itself, to share their expertise and create a more effective experience. This requires giving them the tools they need to support agents and managers any time their input would be helpful—and then capturing those engagements for review and training in the future. To do all this, you need a modern customer engagement solution that supports an integrated view of all interaction channels, including social and mobile, as well as data analytics and integration with CRM and other back-end systems; and which tracks every customer interaction, starting with marketing and sales, moving through customer service and support, and on to retention. To enable this approach, many companies are embracing the cloud for the benefits it can deliver: faster deployment, fixed monthly costs, scalability, flexibility, built-in management and support, and the ability to access new applications, features and functions as soon as they are needed. Support for any channel—now, and into the future. Enabling interactions with agents and employees based on skills and experience. Integration with CRM, marketing automation and other back-office systems. Data analytics to improve business decisions. For more on how you can jump-start your contact center for this year and beyond, read the new Frost & Sullivan whitepaper, Rethinking Your Contact Center: How to Engage the Modern Customer. Check out the webinar to hear 8x8 and Frost & Sullivan talk best practices with customer examples. I’ve been working virtually on remote distributed teams for most of my career. My teams have spanned all time zones, cultures and geographies. While this way of working can be very beneficial and productive, it also presents some new challenges such as physical distance, missing out on face-to-face serendipitous conversations, and effectively establishing trust across the team. There are some key ways to address these challenges by enhancing and creating a cadence of responsive, productive communication and collaboration with your team. In my role as a remote worker, for example, using communication and collaboration tools that show my presence status, let me engage and interact quickly as if I’m face-to-face. As a result, my physical location doesn’t matter. Here are five tips to transform your virtual team from good to great. In today’s busy, always-on world, time is a valuable asset and setting boundaries is a necessity. Communication on virtual teams can be as rich as in-person interactions with the right behavioral engagement guidelines. House rules, when established and used properly, can set the right tone and proper context for respectful, positive team engagement. For virtual meetings, house rules might include requiring meeting agendas with expected outcomes, limiting side conversations, going on mute, staying attentive and avoiding multi-tasking. Teams working across different time zones might also consider equalizing the time-zone burden when possible and establishing a rotation of meeting times. Do you like receiving a text at 4 am from out-of-country colleagues? Me, neither. So it’s helpful to establish clear expectations for use of different communications tools. For instance, certain communication methods imply urgency but may differ across geographies and cultures. It’s important to agree on which communication modes work best for your virtual team and under what circumstances. Agree on when you should send a message via email versus picking up the phone, sending a text, or using chat. Understanding this may help avoid information overload and make it easier for the team to better prioritize. Building a network of open, interpersonal trust happens when co-workers can develop understanding and empathy for their fellow team members roles, challenges, successes, passions, and interests. In-office employees often share casual conversation at the coffee station or chat on their way to a meeting. That kind of communication doesn’t happen as easily when you’re miles apart. Building rapport with virtual colleagues needs to be intentional to create those connections that are typically present in an in-office environment. Perhaps take a few moments at the beginning of each meeting or conversation to create a “virtual water cooler,” allowing time to share socially, express gratitude, and set a tone of inclusion. It’s important to create a space to connect on a more personal level and throughout the meeting to ensure all participants on the call have a voice. Also, virtual teammates may then better understand each other’s communication styles, how they process information, and how they perceive their role on the team. The trust and openness required for team cohesion and collaboration is built on these small conversations and proactive engagements. Good communication begins with great technology. Technology is the lifeblood of a virtual team. In fact, there’s no shortage of available productivity cloud offerings to ensure smooth, efficient workflow. Documents, presentations, and spreadsheets can be created and shared using cloud workspaces from companies such as Zoho Docs, Open Office, or Office 365. File storage is essential with ample options available from storage platforms such as Google Drive, Box, or Dropbox. Scheduling meetings across the country to allow for different time zones or work shifts can be challenging. But it doesn’t have to be. Check out an online meeting planner or maintain a central team calendar with easy sharing options such as iCloud, TeamWeek, or Google calendar. And this is especially important. Every virtual team member needs a high-quality headset to optimize their audio experience. Make sure your selected headset includes noise cancellation to filter out distractions from ambient noise and allows for clear, ungarbled sound. This is critical while participating on conference calls. The workday will be much more pleasant as your headset provides crisp sound as you listen to music via Spotify or Pandora as you glean the latest business info from your favorite podcast. Your virtual team is complete with 8x8 Virtual Office, a comprehensive business communications system. It provides the transparency you need in the office (regardless of where you are). It also seamlessly integrates your business phone or soft-client with voicemail, company directory, instant messaging, video calling, fax, call recording, and video conferencing. Add in presence status and you have a perfect collaboration toolset. While people may not see you physically, they can reach you quickly when they know you’re available versus on a call or in a meeting. And my favorite feature of 8x8 Virtual Office is the dedicated mobile app, which lets team members quickly transition between the desk phone, softphone and mobile device. It’s an amazing feature for working on the go-anytime, anywhere. Did you know that 8x8 Virtual Office makes it easy to switch calls between devices? We call this “flipping a call,” and nothing could be simpler or faster. 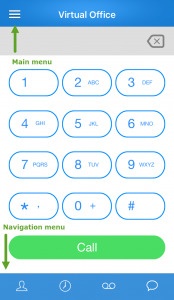 This trick is handy when you answer a call on your desk or softphone, but want to go mobile. Let’s say you’re on a crucial conference call with your boss, your boss’s boss, and a very important prospective customer. The prospect is interested-so interested that the call is running long and shows no signs of ending soon. The last thing you want to do is hang up and call back in, or put the call on hold while you grab your mobile phone. But the clock is ticking and you need to pick up your kids from daycare before the center closes. How do you exit the call gracefully? Your caller will never know that you’ve switched devices because there’s no hold music or dead air. Mission accomplished! Want to see how it’s done? Watch the free training online at 8x8 Academy. Will Bots Replace Humans in the Contact Centre? If you believe the hype, contact centre and customer service employees may soon be out of work. 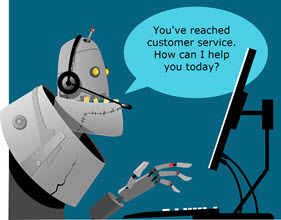 According to the BBC in the UK, occupations in the contact centre industry are among those most at risk of being taken over by robot workers. They rank 109 among 366 jobs. In the future, the rise of automation will undoubtedly play a huge role in the industry, taking on simple, repetitive tasks and answering basic queries. The benefits are obvious. Robots can work 24 hours a day, seven days a week, and only take a few seconds to be ‘trained’ on a new topic. But not so fast. Humans in the contact centre aren’t on the way out. I believe people in this industry all around the world have a bright future–and to write them off entirely would be to ignore the strategic importance of human interaction to a company’s brand. The contact centre is increasingly becoming the only place that customers interact directly with a brand, more specifically with the people on the front line that represent it. This is particularly true for e-commerce companies that don’t have the presence of a physical store. In an era where brands are defined by the service they provide, not just the products they sell, the actions of the contact centre team are fundamental. In fact, they are the customer experience that make a brand what it is. Contact centres are full of highly-trained, knowledgeable people with problem solving and negotiation skills. It’s very difficult to replicate these important skills with automation. Not to mention the “softer” skills such as showing empathy and charm. These are virtually impossible for robots. This human touch is even more critical when you take into account that customers most often reach out to a contact centre when something has gone wrong and are looking for help. Creating a dialogue & building a relationship is key to solving a #custsvc problem. We’re all too familiar with the “computer says no” approach. It’s when human call centre agents start showing robotic traits and refuse to deviate from a script, that this leads to customer frustration. Creating a dialogue and building a relationship is key to getting to the bottom of a problem and making sure it’s dealt with properly. Unless you consider fictional films like Star Wars or Her, no one has ever built a relationship with artificial intelligence. Yet, ironically, under-investment in technology is probably the biggest threat to humans continuing to take the leading role in contact centres. 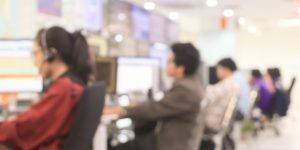 With contact centre workers acting as the front line of a brand’s customer experience, technology is crucial to ensuring they have the tools they need to provide stellar service. The right technology can make sure customers are connected to the right agent. Technology can match a customer to any agent anywhere in the world who’s able to answer their query and cut down on wait times. Agents can have the full history of a customer’s interactions with a company at their fingertips, so the customer doesn’t have to repeat their query again and again. For example, solutions like 8x8’s Virtual Contact Centre and EasyContactNow enhance the great customer experience contact centre agents are able to offer by making sure customers are always sent to the right agent, with the right expertise, at the right time. By taking care of these basics, agents are freed up to let their unique human skills shine, while focusing on solving customers’ problems. Automation is undoubtedly here to stay. It’s now a common feature in many parts of our lives–from helping us pay for our supermarket shopping and giving us directions through a smartphone to allowing us to check ourselves in at the airport. Contact centres will no doubt be affected by this trend and it’s important they are part of this automation movement, rather than ignoring it. While automation will eliminate very few occupations entirely in the next decade, it will affect portions of almost all jobs to a greater or lesser degree, depending on the type of work they entail. The successful contact centre of the future will harness the best of both the human and automated worlds to give customers the service and experience they want. And contact centre agents? They’ll continue to be your organization’s most valuable frontline representatives. Season’s Greetings! The year is coming to an end, and we wanted to remind you of the top 8x8 blog posts of 2016. 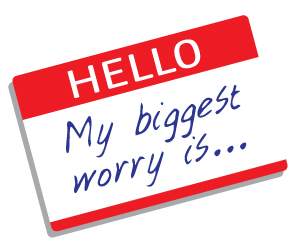 What worries you most about having communication services in the cloud? 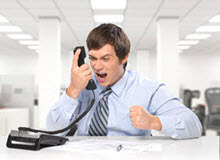 What do you find most annoying about call center interactions? What do you find most annoying about video conferencing? We look forward to delivering more exciting content next year along with additional episodes of our podcast series. Hot off the press, today we released a new Future of Work study that highlights how Generation Z, which will enter the workforce in earnest in 2017 will change the workplace, especially as it relates to business communications. The study finds that Gen Z will bring balance to the workforce and that Gen Z preferences are a blend of Gen X and millennials and could convince businesses to dial back on millennial workplace changes. Check out the full report, titled, “Rogue One: How Generation Z is Going to Bring Balance to the (work)Force,” that surveyed 1000 full- and part-time Gen Z (ages 18 to 20), millennial (ages 21 to 35) and Gen X (ages 36 to 50) employed workers in the United States. And don’t miss the infographic. 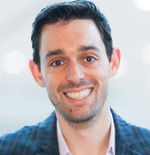 It’s in context of this Future of Work study, that I had the opportunity to virtually “sit down” with Jacob Morgan best-selling author, speaker, futurist and co-founder of The Future of Work Community. We touched on several topics from– how will Gen Z impact the workplace, to cultural and technological trends, Artificial Intelligence, how the new way to work will impact the way we lead and manage, and more. Jacob Morgan is a best-selling author of “The Future of Work: Attract New Talent, Build Better Leaders and Create a Competitive Organization” and “The Collaborative Organization.” Jacob is also the co-founder of The Future of Work Community, a global innovation council of the world’s most forward-thinking organizations exploring the new world of work. Members include over 60 brands and senior leaders who represent them. His new book, “The Employee Experience Advantage “ will be available in March 2017. Subscribe to the 8x8 Podcast on iTunes. Have you ever grumbled about adapting to a new software update that changed the way you worked? You’re not alone. Weathering change is a challenge–no matter how much a new design might make life better in the long run. Adopting a new 8x8 unified communications system is no exception. You can talk about benefits until you’re blue in the face, but many users would rather walk on nails than unlearn the old way. That’s because the old way is familiar. Regardless of the productivity benefits, busy users often resist change. The thought of learning a new software-based phone system can make new users panic like New Yorkers facing a green slime invasion in Ghostbusters 2016. But there’s no way around it. An amazing new communications solution is still a cheese mover. They’re going to have to relearn how to answer, transfer, and put calls on hold. They’ll need to record new voicemail greetings, which they may not have changed in decades. And there may be the added challenge of learning new concepts, such as parking calls or flipping calls between devices. When your users start to panic about these changes, who you gonna call? Meet 8x8 Academy. We’re here to help everyone learn how easy it is to configure, manage, adopt, and use 8x8 solutions. We offer comprehensive training on all 8x8 tools and products, through fee-based Instructor-led classes and free online materials, accessible anywhere and anytime. Find free training and browse our course descriptions on the 8x8 Academy website at www.8x8.com (under Products > 8x8 Academy). 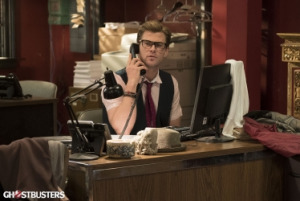 In the 2016 Ghostbuster trailer, there’s a scene where Erin (Kristen Wiig) asks Kevin (Chris Hemsworth) to answer a ringing phone. “Can’t,” he answers. “It’s in the fish tank.” The camera zooms to a close-up of a desk phone submerged in the office fish tank. With 8x8 Academy you can be sure your end-user adoption is smooth and the fish stay safe. Take a look at what 8x8 Academy can offer. Like Ghostbusters, we’re here to help. For information about 8x8 Academy class and fee schedules, contact [email protected]. 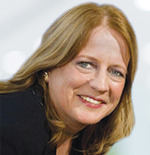 Recently, I chatted with Nancy Jamison, Principal Analyst at Frost & Sullivan about customer experience and contact center trends. We discussed the move to cloud, millennials driving the increased trend to remote working, multi-channel and more. Nancy Jamison is Principal Analyst, Frost & Sullivan and covers all things customer contact and digital transformation, including: Inbound Contact Routing systems (ICR), Interactive Voice Response (IVR) / voice portals, outbound dialers, quality monitoring, workforce management, workforce optimization, social media, contact center analytics, speech technologies etc. 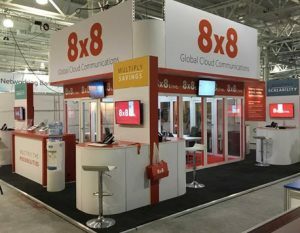 8x8 today also announced, in conjunction with the Contact Center Network Group (CCNG), results of a new survey that reveals cloud contact center technologies are gaining strong momentum and that the industry has reached a tipping point in cloud-based technology adoption among companies of all sizes. 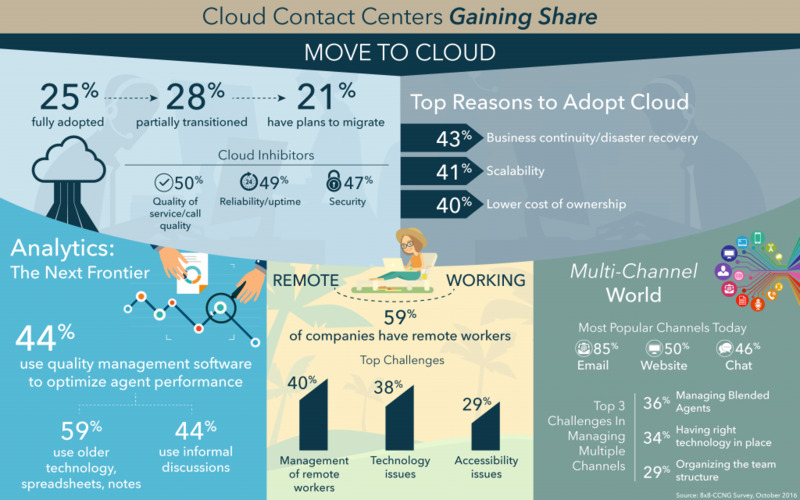 The survey suggests three-quarters of companies have recognized the value of the cloud, with 25 percent of contact centers having fully deployed cloud today and another 28 percent partially transitioned. In addition, 21 percent have plans to migrate within the next year. Additional trends highlighted in the report include the importance of analytics in contact center success; the increase in remote working and challenges created by this; and the integration of more non-voice channels into the contact center. To read the full report, click here. 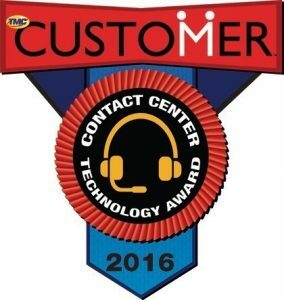 8x8 was recently awarded the 2016 Contact Center Technology Award by TMC, a global, integrated media company, for our Virtual Contact Center (VCC). The award presented by CUSTOMER Magazine celebrates VCC’s innovative approach to the contact center market enabling companies to deliver world-class customer experiences. This 11th-annual Contact Center Technology Award, honors industry leaders that have demonstrated a commitment to customer service excellence. As the recipient of this award, 8x8 is distinguished as a thought leader and market mover in the contact center and customer care industries. 8x8 VCC provides a unique and broad set of capabilities from multi-channel interactions, innovative quality management, powerful analytics that monitor and improve the customer journey, and a pre-built CRM integration tool that allows contact center managers to configure and tailor the agent and customer experience, without requiring professional services. VCC allows companies to meet their customers on the channel of their choice and can intelligently connect customers with the best agent to solve their problems. It also provides agents with all the information they need to quickly and efficiently solve customers’ issues, increasing overall customer satisfaction and reducing costs. VCC can be integrated with 8x8’s Virtual Office to allow agents to access experts across the company via chat or voice enabling them to solve complex customer problems during the first interaction. Thank you TMC and CUSTOMER Magazine for the recognition. We are honored to be a recipient of the 2016 Contact Center Technology Award and look forward to continuing to innovate and solve enterprises’ toughest customer experience challenges. The great and the good from the contact centre industry converged in London last week for one of the most prestigious events in the contact centre calendar – Customer Contact Expo 2016. 8x8 was one of the leading exhibitors at the two-day event, both in size and stature, with one of the biggest stands there. In addition to our 8x8 Live! office, we had eight large screens to demo all our products including as Quality Management and three wall boards, specifically to show our range of analytics tools. This year we felt there was a real sense of purpose in the delegates. 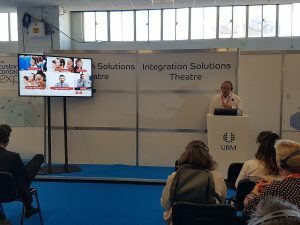 It was particularly noticeable that those who came along had recognised the need to improve and align their communications, setting up projects to move their contact centre communications to the cloud. Many had programmes either planned or already on the go so they were very much in need of our help, wanting to set up meetings and get going. David Rowlands, our Contact Centre Director, gave a keynote speech at the event on the effects of automation on the contact centre industry. He firmly believes that in this age of automation we shouldn’t write people off just yet, with technology enhancing rather than displacing contact centre workers. Stay tuned to see more on this in a future blog post! When you were a kid, did you ever sit with an encyclopedia and browse through the myriad subjects, scouring the pages for new information? Those old hard cover volumes have been replaced today by Google and Wikipedia, but our desire for knowledge continues. With just a few keystrokes, or a shout out to Siri, we can find pretty much anything we want to know. This is 8x8’s desire for our customers and end users- that they can easily and quickly find any information related to how to use 8x8 solutions- and the reason why we launched our public Support Knowledge Base. The 8x8 Support Knowledge Base (KB) has evolved from being an internal channel for 8x8 support agents to share information with each other, to today becoming an external facing information repository. Initially, documents that were once passed around via email were collected, edited, formatted, and made available in a more polished and official capacity. 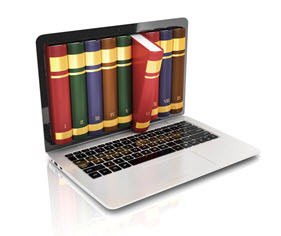 Next, articles, manuals, user guides, and downloads were added that could be shared with customers. In October 2015, we added a powerful search engine to the Knowledge Base. This search capability has the ability to learn and adapt to user input. A month later, 8x8 announced the availability of the Knowledge Base to our customers. Users flocked to the KB to learn about a myriad of topics- from how to activate their phones, set up their call flow, to how to configure voicemail settings. The most recent phase of development has brought customer login, case creation and management to the KB. As of June 2016, 8x8 customers can create support cases directly through the KB, view previous cases, reopen cases, and add notes. The KB on average serves over 1,000 users per day with more than 20% of all traffic to the site resulting in downloads of the desktop software and product documentation. This has added a whole new dimension to 8x8 Support! Our goal in expanding the Support Knowledge Base is to provide our customers with all the relevant information needed to use 8x8 products and services. As new products are released, new content is added to the KB. Our team diligently reviews on an ongoing basis, all new and existing content for accuracy and relevancy, and is always on the lookout for new content to help our customers. With each update of 8x8 Virtual Office Desktop, Virtual Office Mobile, or Virtual Contact Center, the documentation is updated to introduce new features. Earlier this year, we introduced Virtual Office Meetings 2.0. This release brought a fresh, new look to virtual meetings, allowing greater opportunities for collaboration, content sharing, and HD video. On the KB side, we published this article in anticipation of the release: What is new in Virtual Office Meetings 2.0? We also shared content regarding new capabilities for Virtual Contact Center. With each approaching holiday, we highlight articles on setting up holiday hours on 8x8 phone services. We’re always on the lookout for feedback from our customers on ways to further enrich the KB and welcome suggestions for new content. At the bottom of each article, we have the option to let us know whether or not the content was helpful. Simply click Yes or No and add a comment. If you can’t find what you’re looking for, you can click Request an article at the bottom of the search results page. Give us a detailed description of what you’re looking for. These requests are reviewed daily, and we aim to add new content on an ongoing basis, or edit existing content, to meet our readers’ needs. To get you started on your journey through the 8x8 Support Knowledge Base, check out How do I use the 8x8 Support Knowledge Base? You can click the links below to see some of our most popular articles. Come visit the KB today and learn more about 8x8’s products and services! Looking for answers? Here are some self-help resources to get you started. How do I configure my Auto Attendant? How do I edit extension details or manage user profiles? For anyone in enterprise technology, the Gartner Magic Quadrant is an incredibly influential annual report benchmarking the various players in the market. For some end-user companies, “The Leaders,” or those companies in the famous upper right quadrant, become the short list of vendors they evaluate when considering a new system. But this blog post is not about recapping this year’s Magic Quadrant for Unified Communications as a Service – you can download it here for yourself. I thought instead, I would talk about some of the trends I’m seeing that really impact one of the two major factors in how Gartner ranks vendors. As a technology provider, vision is an incredibly important element in why customers ultimately decide to do business with you. Enterprises want to know that you have a clear vision for the future and how technology trends will impact what you offer. Without that vision, companies may end up implementing a system that doesn’t integrate well, doesn’t scale or becomes outdated very quickly. However, this vision cannot be limited to just technology. It also needs to be tied to societal and generational trends that impact our workplace. Here are two examples – one technology-related and the other societal – where 8x8’s vision for the future is mapping to trends in the industry that will impact our company, our partners, our customers and ultimately the end user. 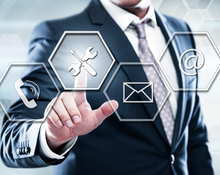 Historically, unified communications and contact center technologies have been disparate systems within the enterprise driven by a number of things. These include the diverse technology needs of the broad workforce versus the contact center; vendor fragmentation in the marketplace resulting in no single homogeneous communications platform; and the lack of ability of both technologies to scale to meet the demands of companies large and small. With the evolution of cloud-based unified communications (UCaaS) and contact center (CCaaS), and the consumerization of IT within both the contact center and broader workplace, this is now changing. 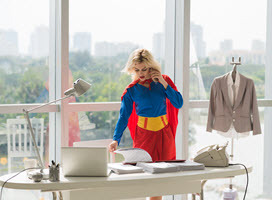 This convergence is leading to Enterprise Communications-as-a-Service (ECaaS) – a highly scalable, cloud-based system that connects UCaaS and CCaaS into a single platform. This shift is critical as flexibility and scalability are the two essential components in accommodating the future of work in the enterprise. We’re helping to lead this convergence. Did Someone Say Future of Work? The future of work is all the rage in workplace and technology circles as companies try to better understand how changes in work styles and cultures of global businesses will impact the systems they put in place to enable and support employees, partners and customers. But this is not about latching on to the latest buzz term to make us relevant. Very few enterprise markets will be more impacted by the future of work than ECaaS. Employee Mobility – driven by the work styles of their millennial employees, more and more companies are offering unmatched flexibility in how and when people work. Working off hours or working remote are no longer just exceptions, they are commonplace. This is not a trend that is going away soon, and as Generation Z enters the workforce, it will be the only work style they have ever known. Communications Fragmentation – we’re well beyond the days where interacting with a colleague was done via a PBX phone, email or by walking over to their desk. Today, communications is fragmented across a number of different channels including text, chat and social. 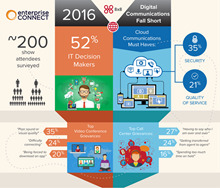 In addition, communications is no longer only an IT and contact center stronghold. Lines of business such as sales, marketing and HR are looking to adopt communications technology to drive increased functional productivity and efficiency. Combine this trend with employee mobility and the ability to work across Internet of Things (IoT) devices (cars, other connected home devices), and you have a scenario that demands the flexibility, scalability and integration capabilities to communicate across different software, hardware and apps. These are just two of the areas 8x8 is leading in both innovation and vision in order to provide our global customers with the most flexibility possible as they continue to tackle the technological and generational challenges they face. There are a number of other areas we’re watching, but it is safe to say that this approach of, “one eye on the future,” has served us well in the Gartner Magic Quadrant. A special THANK YOU to our team, our partners and our customers for giving us the ability to see past our nose and still execute well. We’re excited and honored to be named a Leader by Gartner for the fifth consecutive year. 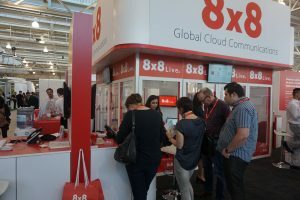 Bryan Martin recently published a blog talking about the real world challenges of going global in the enterprise communications space and talked about some of the things we are doing at 8x8 to help make it easier for our customers to do business as global companies. Today I wanted to have a similar conversation specific to the Contact Center and some of the challenges that going global poses in this market. In today’s global economy, more and more organizations are expanding their Contact Centers around the world. There are a number of drivers for doing this: the availability of highly skilled, lower cost talent in many parts of the world; the need to support customers and prospects that need help or want to buy from you in different locations around the globe; or the acquisition of another company that suddenly opens a new geography for your business. Managing equipment: The headache of managing equipment at multiple sites in different locations around the globe is a real challenge. Having technical expertise on site on different continents forces companies to open large call centers with a whole lot of agents just to justify the underlying costs to support their presence in the area. Local phone numbers: In many cases, companies end up with regional phone numbers to serve multiple countries instead of local numbers for each country. This can be a competitive disadvantage when prospects see that you don’t have a local phone number in their country. Having a regional presence is certainly an advantage over forcing customers to find you on another continent, but simple issues such as managing phone numbers can limit this advantage. It’s easy enough to point multiple phone numbers at a single contact center, but how do you get local numbers in countries where you have no presence? How well does your service provider deliver phone numbers for different locations across the world? If you have a small group isolated far from the rest of your offices, it becomes very difficult to get competitive rates for your telephony traffic, and those costs can add up quickly. Hair pinning calls around the world: In many cases, cloud vendors will serve customers from a single data center in one location in the world. This means that calls that take place far away from the data center need to travel around the world and back, even if they are connecting customers who are calling local agents. Call latency: Sending calls around the world creates latency, which leads to confusion. Latency is a time lag that happens when signals are forced by bad call routing to travel long distances. People think that it is their turn to talk, so they end up talking over each other. The lag from when someone starts talking and the other person hears is long and creates a great deal of confusion on the call. When a digital voice stream moves across long distances, packets are lost causing jitter, dropped calls and other call quality issues. Adding Data Centers Helps: The most mature cloud vendors provide their customers with a solution to this problem by providing data centers around the world. This eliminates the need to hairpin calls around the world, but it’s only a partial solution to the problem. Creation of multiple teams: One of the biggest benefits of a cloud contact center system is that you don’t have to have your agents all in the same physical location. Agents can work from anywhere and be part of the same team, connected to the same cloud-based system. Unfortunately, this breaks down in a global environment where agents need to connect to different data centers around the globe. Most cloud vendors cannot create a system for a company (generally referred to as a tenant) that spans multiple datacenters. This means that each physical location is required to function as a completely independent group, with separate management tools, reports, and administration. If a company wants to have its global contact centers function as a single unit they will need to build all sorts of highly customized overlay tools and reports on top of their system to make it function as such. This makes it very hard for a global contact center to function as a single team. So, how do you solve this management problem? Create a Global Tenant! Moving infrastructure to the cloud allows companies to scale down the number of agents it takes to be cost effective at any given location. Instead of needing a room full of agents to cost-justify a system, companies can now have a couple of folks working out of a small office anywhere in the world. Agents can even work from home or wherever they are most productive. 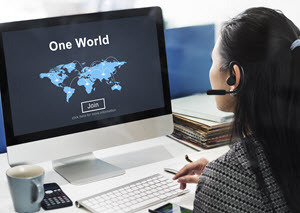 Connect Locally, Manage Globally: With 8x8’s Virtual Contact Center we have separated the media server function from the administration functionality. 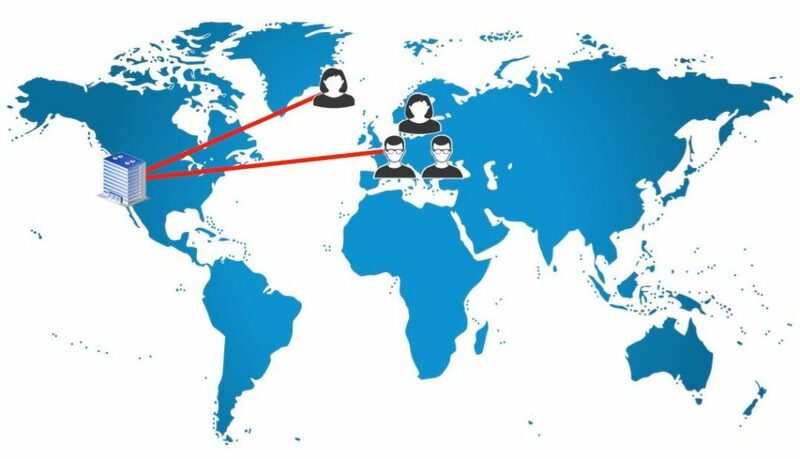 This means that you can now have agents working around the world, connected to their local data center but managed from a single, central location. With this approach, you can have the best of both worlds. All telephone connections can be handled locally to ensure high-quality interactions and control telephony costs. You can also manage your distributed contact center as a single team with one set of administrative tools, one set of reports and one configuration tool. Your agents all have the exact same set of tools wherever they are in the world, and you can provide a consistent experience to your customers around the globe. 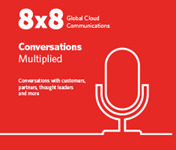 With the global capabilities of 8x8 Virtual Contact Center, your global contact centers are better connected. You can now provide local phone numbers to your customers to make it easy to reach you, you can ensure high-quality calls by avoiding having to bounce calls around the world, and you can manage your team as a single entity to ensure you are in complete control of agent productivity and your customer’s experience anywhere in the world. I’m at Call Center Week in Las Vegas this week and it got me reminiscing about my experiences last year. No, not the local shows I saw or the side trips to different casinos or the big money I won. (I NEVER win big money, my wife did once but that is another story…) I’m talking about something I saw at the show. I know, it’s not scientific. It’s kind of random, yet for some reason I felt it was a far more compelling dataset than anything you get from reading analyst reports or paid research… So what did I find? There were a few items about multi-channel interactions, understanding the customer journey and even a couple of comments about facilities, but for the most part the dialog was all agents all of the time. Between those categories I think I logged 80% of all the comments. OK, so I’ve worked for one contact center vendor or another for most of my 25+ year career. I love to tell stories about millennial consumers and how to deal with the changing customer landscape. Those are important and interesting, but my biggest learning that day at CCW was that the agent is the foot soldier in the contact center–that is what people care about. If you were a lieutenant responsible for a platoon and were getting ready to head into battle, your focus would be on keeping your guys alive and making sure you held up your end of the battle, at that moment the geopolitical implications of the war would not be a high priority. It’s the same for contact center managers. They worry about their team taking calls: Are they properly cared for? Do they know what they need to know? Can they get to the data they need quickly? A soldier in a platoon really can’t leave in the thick of battle, but a contact center agent can bail on a dime if he or she is not happy, so how do I make sure I keep my agents? This was a revelation I should have gotten to on my own, but it took a wall full of badges to get me there, and one that has really changed my perspective. It has been a year since 8x8 acquired Quality Service Corporation. It was great news then and it’s even more exciting this year, as I’m back in Vegas with a demo of our new Quality Management system. If you are at CCW this week, drop by our booth (#1008) and say “Hello!” I’d love to show you a demo and get you all caught up on 8x8’s Quality Management solution. It is indeed, all about the agent.